It seems that the Cookie Monster is not the only one who craves for cookies. 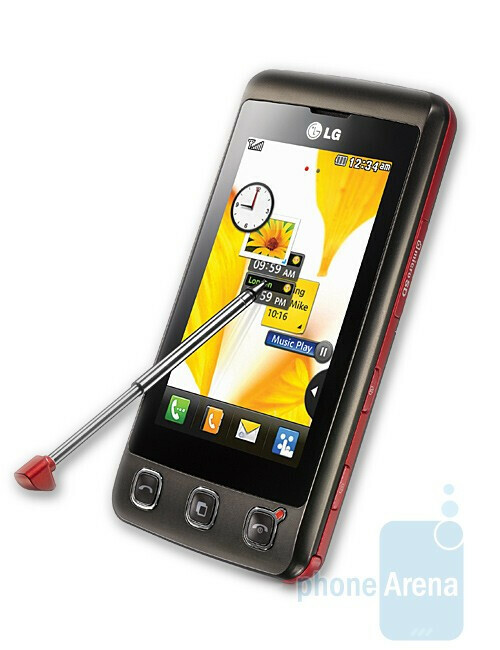 The budget toucscreen phone from LG bearing this name is becoming very popular. It recorded over two million unit sales worldwide – 1.2 million in Europe, and another 600,000 in Asia and the emerging markets including Latin America. In its home country, Korea, the LG Cookie is currently the most popular phone with 100,000 sold units, and record one-day sales of 4,500 units. The manufacturer claims that the key to this success is not only the low price, but the great features (3-inch screen, accelerometer, 3-megapixel camera, microSDHC support) and the variety of color variants. The handset initially launched in four color schemes but now, according to LG, there are ten. The company goal is to expand Cookie’s availability from 40 to 60 countries as part of its push to hit 10 million in sales worldwide. We really like the LG Cookie. What about you? The stylus is a great idea... you don't have to use it but it is an additional option. I have big hands, and trying to navigate the crappy mobile web on a voyager or a dare is reidiculous, pressing the correct link is nearly impossible with my finger pad, i have to use my fingernail. I usually just end up using the stylus from my xv6900.